Women Who Wear their Heart on their (Fashionable) Sleeve. Following on from the International Women’s Day post on Women Who Give a Fork, here are a bevy of brains and beauty (both inside and out) who are making the world a more fashionable and equitable place without costing the Earth. The ladies below are some of the most inspiring ones on the sustainable fashion scene. Hopefully you enjoy following up on their projects, businesses, reads and research. As founder, publisher, editor, and designer of Peppermint Magazine, Kelley Sheenan (image sourced from here), has utilised her skills as a graphic designer, clothing designer and mama to put her best eco footprint forward to help bridge the gap between sustainability and style. Feeling a need for a publication committed to making the World a more stylish and green place Kelley went out on a limb and founded Peppermint Mag in 2008. Little did she know that a publication that fused sustainability, style and substance was exactly what the Australian market was looking for. In 2015 the magazine was awarded Consumer Magazine of the year (under 20k circulation) and continues to go from strength to strength with each issue released . Livia Firth (image from here) is the founder and creative director of Eco Age Ltd, the brains behind the Green Carpet Challenge, a UN leader of change, the wife of Mr. Darcy, and a mother of two humans, a cat and four fish. Livia is known in fashion circles as being a bit of a ‘professional agitator’ and isn’t afraid to ask the top brands tricky questions (this interview is a good example). As an Oxfam Global Ambassador, Livia has travelled to Ethiopia, Kenya, Bangladesh and Zambia, connecting with the people at the beginning of the supply chain. In 2014, Livia was awarded the Rainforest Alliance Award for Outstanding Achievement in Sustainability and the Honorary Award of the National German Sustainability Foundation. 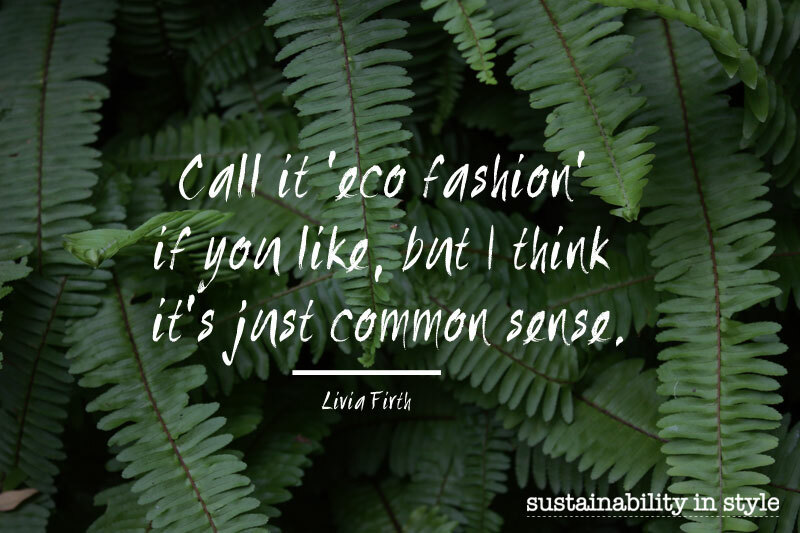 One of Livia’s goals is to marry ethics with aesthetics and thinks that ‘eco-fashion’ is really just common sense. Over the last two decades Kate Fletcher (Image from here) has been using her wonderful brain and progressive outlook to research and influence and define the field of fashion, textiles and sustainability. Kate’s pioneering work in the field, which ranges from developing ‘slow fashion’ ideas and practice to directional sustainability projects, including Local Wisdom which has engaged thousands of people worldwide with the ‘craft of use’ and ‘post-growth’ fashion. 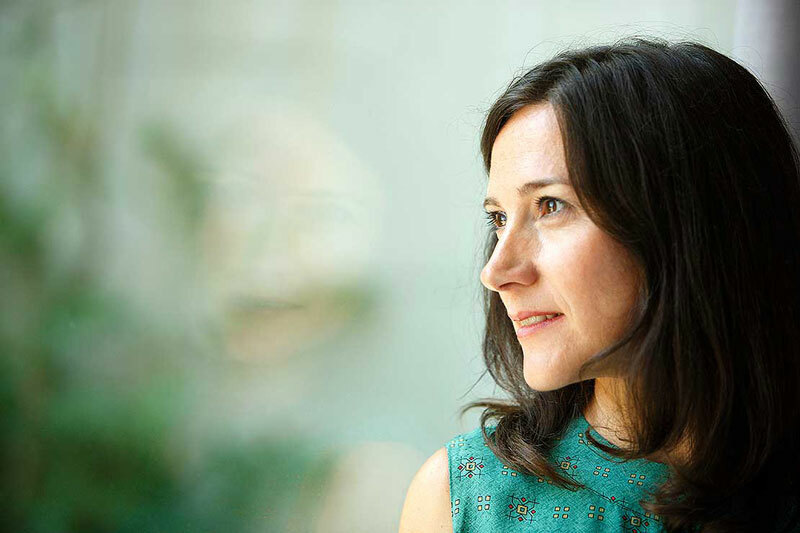 She is founder of the design for sustainability consultancy Slow Fashion where she works with companies, educational establishments and non-governmental organizations to foster change towards sustainability. She is also recognized as an inspirational speaker. Kate has over 50 scholarly and popular publications in the field. She is author of Sustainable Fashion and Textiles: Design Journeys (2008), which is now available as a Second Edition. 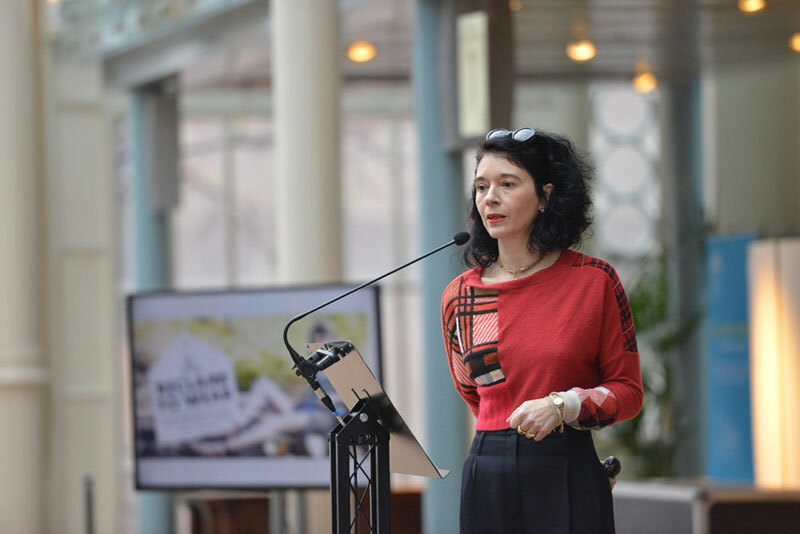 Kate is Professor of Sustainability, Design, Fashion at the Centre for Sustainable Fashion, London College of Fashion where she has a broad remit spanning enterprise, education and research. 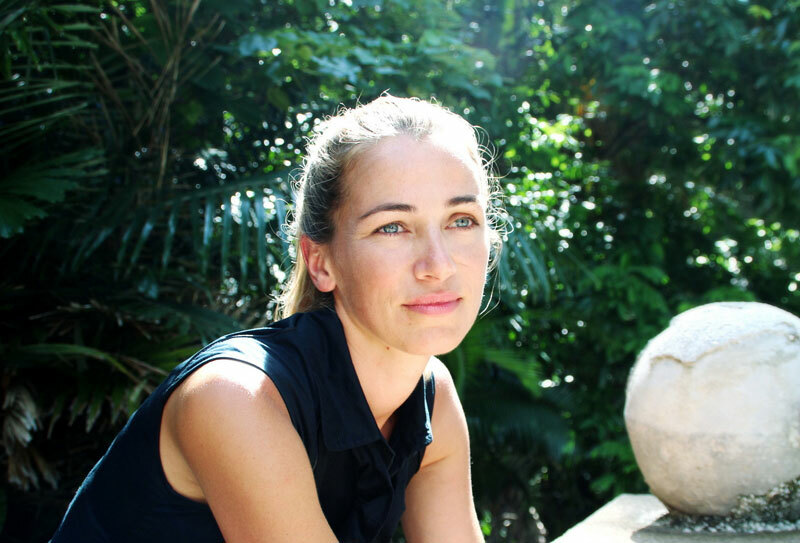 Christina Dean (image from here) is the founder and CEO of Redress established in 2007 with the goal of encouraging strategic development, programmes, fundraising and corporate partnerships towards environmental sustainability in Asia’s fashion industry. Christina is a regular speaker at seminars and has received numerous recognitions for her work, including being listed by US online magazine Coco Eco as one of ‘2010’s Most Influential Women in Green’ and by UK Vogue as one of the UK’s ‘Top 30 Inspirational Women’. 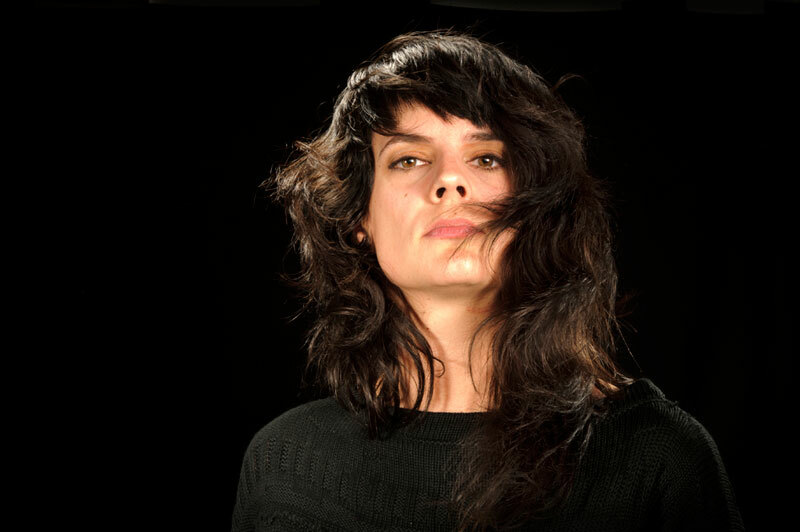 Orsola de Castro (image from here) is co-founder of global fashion moment ‘Fashion Revolution‘. She began up-cycling in 1997 with her original label, From Somewhere, the first to take luxury pre-consumer textile waste and re-make it into new collections. From Somewhere’s collaborations include Robe Di Kappa, Jigsaw, Speedo and Tesco (for which they won Best Fashion Accessory at the 2010 Observer Ethical Awards). In 2006, Orsola and her partner launched Esthetica at London Fashion Week under the British Fashion Council, to showcase labels designing sustainably. Recently, Orsola created Reclaim To Wear, resulting in collaborations with retailers such as Topshop as well as projects with Central Saint Martins and Hong Kong Design Institute. Orsola is associate lecturer for UAL as well as a guest speaker at many international symposiums (including Suzy Menkes’s IHT in 2010 and TEDx at the London Business School in 2013). 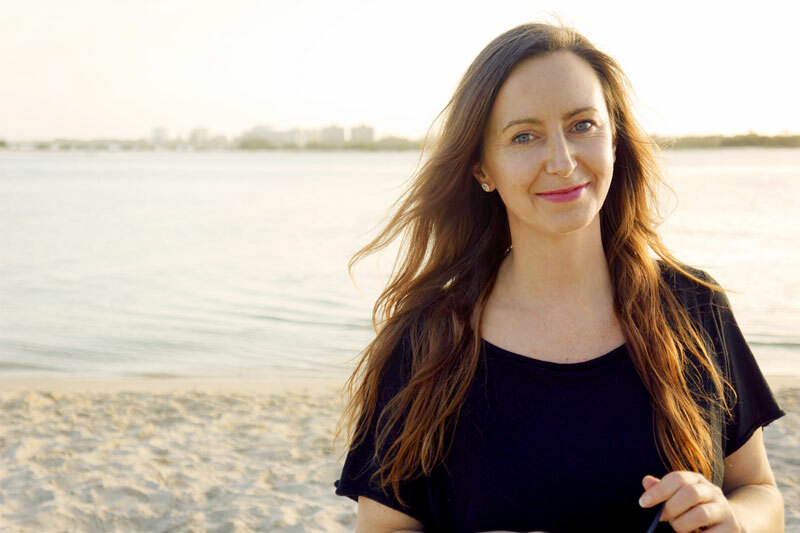 Lisa is the author of Sustainability with Style (a book I highly recommend reading), and a researcher and academic with expertise in incorporating sustainability into today’s lifestyles. She is co-founder of Clean Cut, Australia’s sustainable fashion council, and is currently working on a PhD project examining fashion and sustainability. Lisa has a background in marketing and consumer behaviour, including work on a range of iconic global consumer brands, and has completed academic research on sustainable consumption and barriers to climate change action. 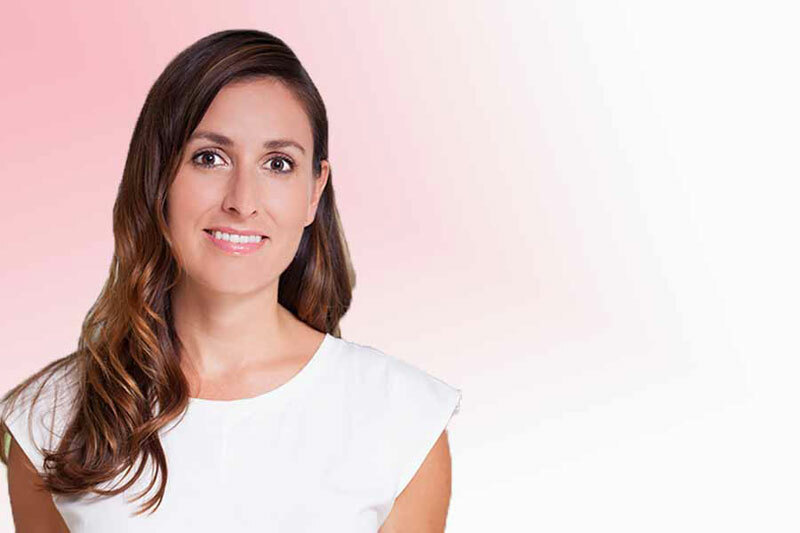 She has previously led the marketing team for the Green Building Council of Australia and sat on the organising committee for Australia’s annual Green Cities events. She is a sustainability commentator and has even been on stage at TEDxSydney. Lucy Siegle (Image from here) is an author, journalist and presenter based in London. She has written a weekly ethical living column for the Observer for over the last decade and delivered To Die For to the world (one of the most influential sustainable fashion books to date). As a fashion lover Lucy shared her relatable journey into the background of her own closet though this book and inspired many of us (myself included) to take a closer look at the way our clothing is made. Lucy is an Executive Producer on The True Cost, one of the most ‘successful’ (reaching a wide audience through it’s inclusion on Netflix) ethical and sustainable fashion documentaries to date. 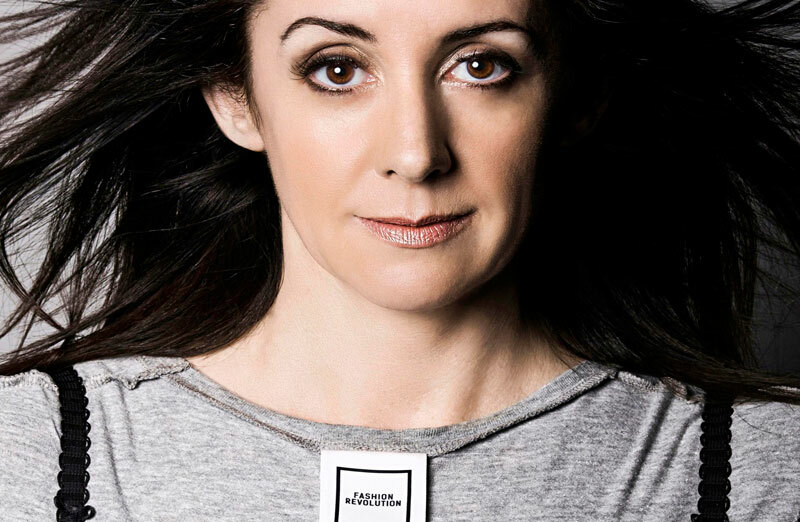 Her work and presence in mainstream media continues to shed light on the importance of revolution in the fashion manufacturing chain. Elizabeth Cline (Image from here) took a closer look at the way that she consumed fashion and in doing so produced a book that has changed the way thousands of people around the world think about their clothes, and helped to set in motion a revolution of sustainable and ethical practices in the global fashion industry. Overdressed: The Shockingly High Cost of Cheap Fashion, has established itself as a ‘must read’ for those who are interested in overhauling the way they think about fashion consumption. This collection of beautiful eco souls is just scratching the surface of influential fashion industry thinkers and doers. Do you have a leading lady (or man) you would like to add to the list? Share with us please! Lovely round-up – The ladies I knew are favorites, and the ones outside my radar, will be researched. Thank you for the feedback Johanne. Glad there were a few new leads for you. Yes, Vivienne Westwood was in the back of my mind too. She is amazing. I love her often quoted ‘buy less, choose well, make it last’ statement. Hope you are well my lovely e-friend. Really well written and interesting profiles! I didn’t know about a couple of these ladies either, so I am looking forward to learning about them. And thanks, for mentioning about the ones who have done Ted Talks- I love watching videos on that site and am always looking for ones to do with the sustainable fashion industry. Thanks Katie for this excellent article. Oh my! Thank you Shannon for dropping by with such pleasant feedback. I’m really glad you enjoyed it. There are many more wonderful ladies doing great things for the fashion World. I might have to do a follow up post with some more soon.